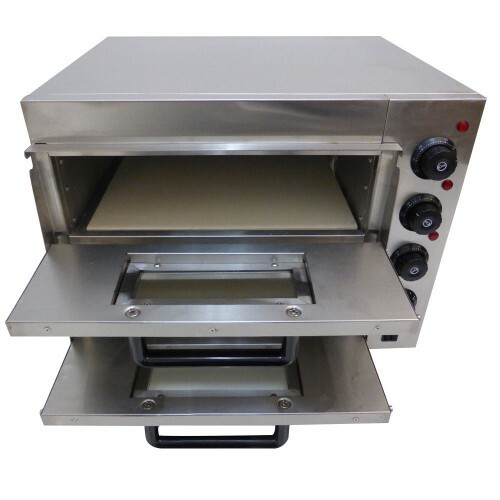 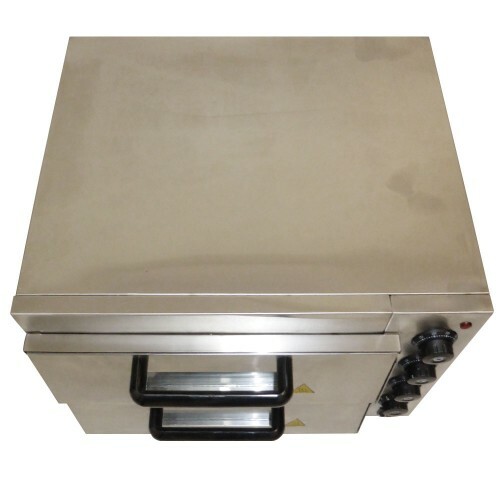 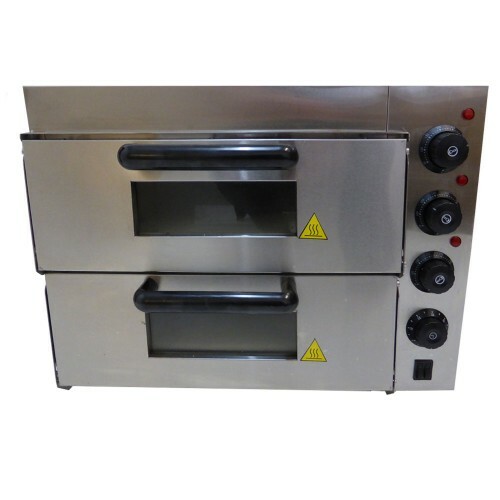 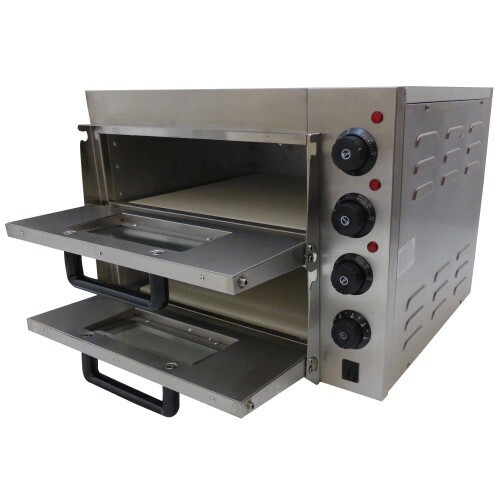 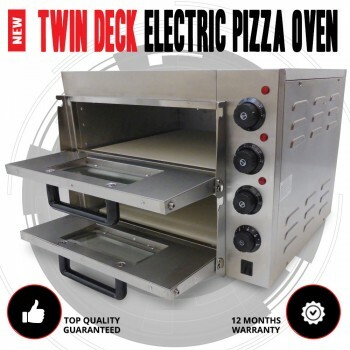 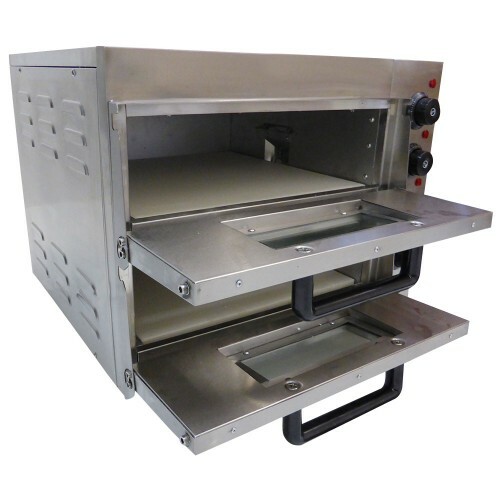 This is an excellent stainless steel pizza oven for home, restaurant, take away or cafe runs on standard 10amp power plug Will Take 2 large Pizzas up to 40cm each and is stackable to save room if you need more than one oven. 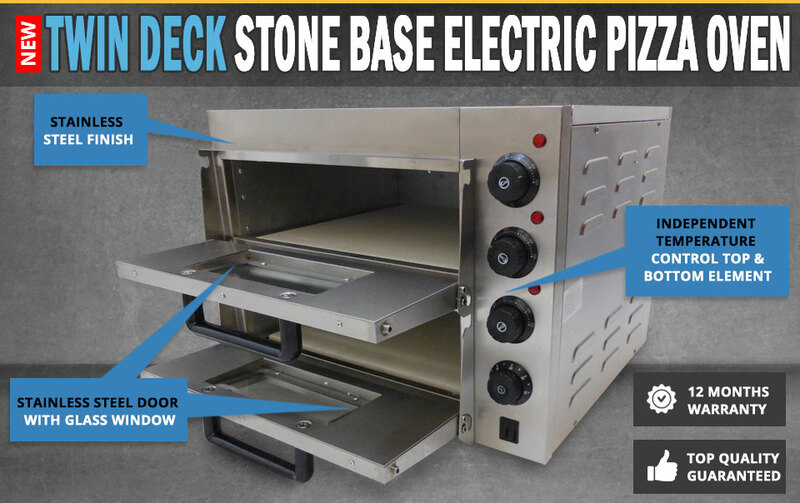 Comes With 2 x thick stone bases for that authentic style pizza, also has timer and a glass door with an interior light so you can monitor the progress. 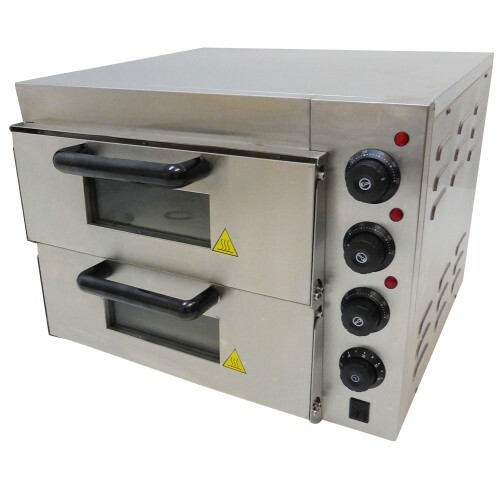 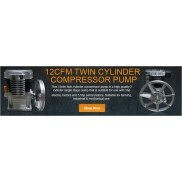 Separate digital temperature controls for top and bottom. 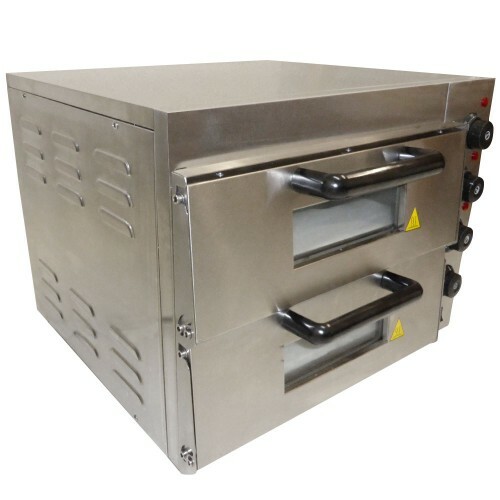 Max Temperature: 350 Degrees Celsius.